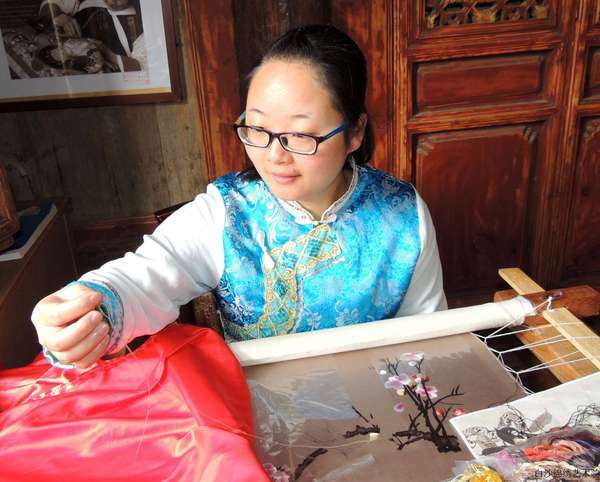 Yang Xiaojie,studied embroidery since a little girl.She came to Baisha Naxi Embroidery Institute after college to work as a embroidery teacher.She is also one of the best discipiles of Master Mo Meiyan. 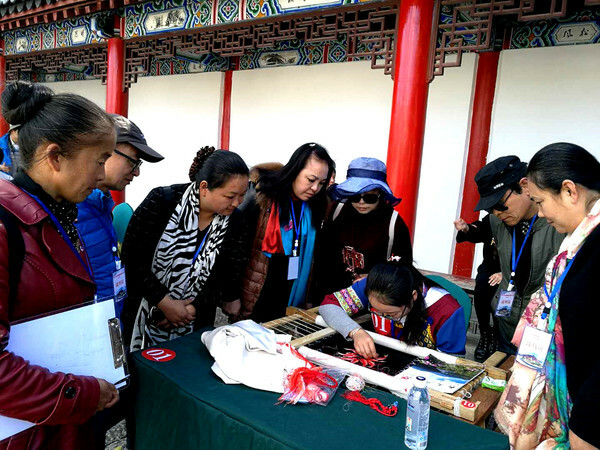 After many years study, she already could embroider with her own design,and become one of the most important embroidery teachers of Baisha Naxi Embroidery Institute. 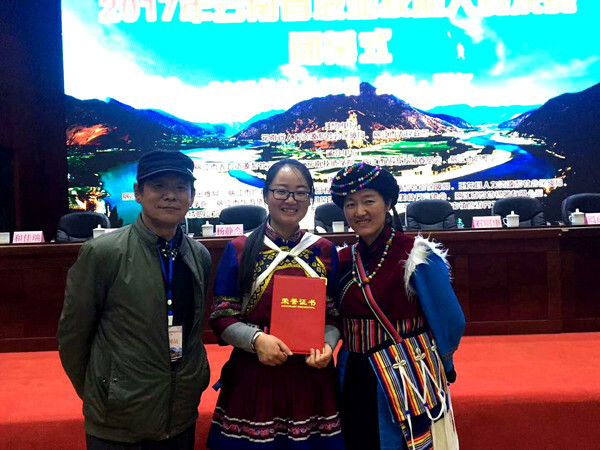 She was listed into the first group of"Yunling Skilled Craftman"by the Yunnan Provincial Human Resources ans Social Security Department in 2018. 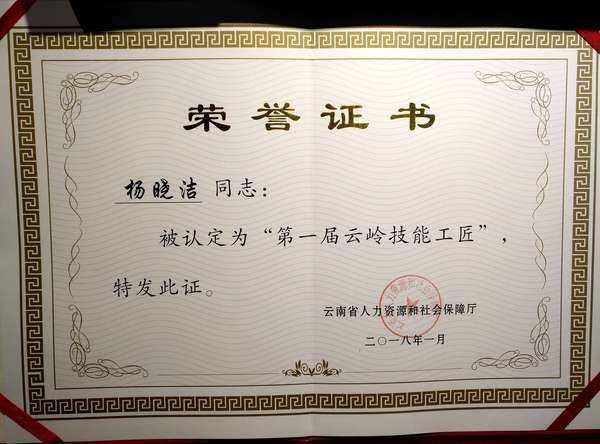 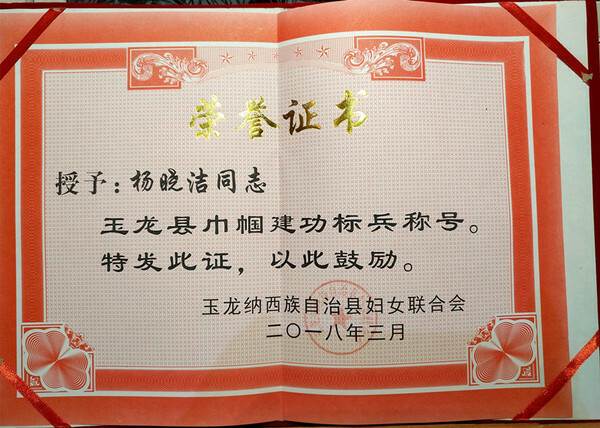 And she was awarded as the "Woman Pacesetter"by the Women's Federation of Yulong County in 2018.